Daniel Gildenlöw is a very driven man. Pain Of Salvation is his baby, his life, and most likely it well end up killing him! That said, when I met him a couple of years ago, he has a steely determination for how he wants Pain Of Salvation to look, sound and feel. Constantly driving (and striving) forward with every passing year and album. 2014 makes no exception. Probably lucky to still be with us after contracting necrotizing fasciitis (don’t consider looking it up if you’re squeamish!) DG wanted to give the fans a bonus by recording an acoustic gig from Germany in 2012. As the Pain Of Salvation train never runs smoothly, this gig was never recorder. However DG still didn’t let it go and decided to bring the recording equipment to the rehearsal room, play the songs through and record it as if it were a live gig. After all the effort DG admits that he may well have made this a studio album instead. As he puts 100% into everything, these reimagined acoustic versions are very close to his heart. Also included are two cover versions, Dio’s ‘Holy Diver’, and Lou Reed’s ‘Perfect Day’. There’s also a new song, the title track ‘Falling Home’. So, what’s it all like….? Well, ‘Stress’ becomes a jazz-swing fusion with a bit of rockabilly thrown in for good measure. 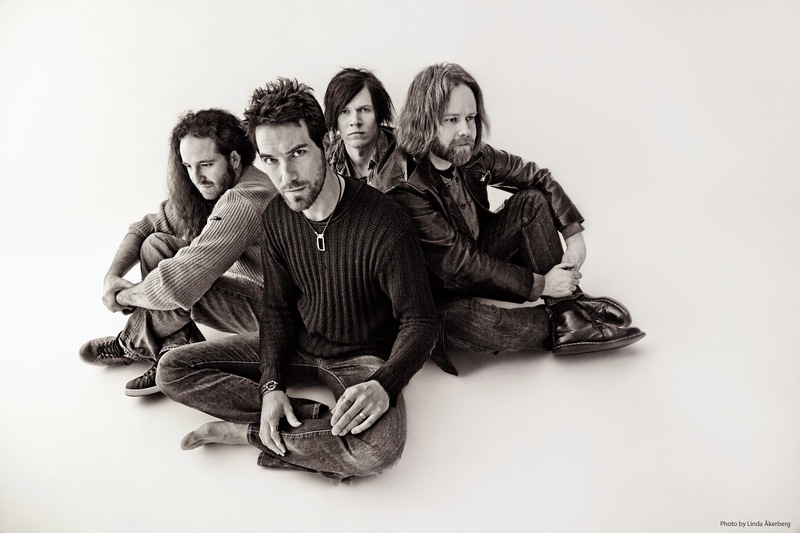 It’s as if Pain Of Salvation are undergoing a split personality as the songs have become something new and far removed, which, lets face it is what you want when you hears bands doing covers, only in this instance its Pain Of Salvation covering themselves. One of my fave songs of theirs, ‘Linoleum’ is hardly recognizable from the original – you have to wait to hear the lyrics to kick in before it becomes familiar. ‘To The Shoreline’ is one of those that I wonder why acousticize (?) it, when it’s already a delicate and haunting song? I similar thing can be said of ‘1979’. Both were solid contenders of my fave songs from ‘Road Salt Two’, and though slightly stripped down from the originals, both are too close to the originals. Moving on from that comment ‘Holy Diver’ couldn’t be anymore further away from the original if it wanted to. Dan Reed did an acoustical, and superb version a couple of years back, so whilst not the first reimagining, Pain Of Salvation have raised the bar when it comes to an original cover version of what is an undoubted metal classic; part lounge, part reggae, and part jazz, its definitely going to divide people, but I think its fantastic. I’ve never got (or understood) Lou Reed, and Perfect Day is one to avoid for me. I would like to have heard this one metalled up, rather than toned down. ‘Mrs. Modern Mother Mary’ becomes something completely new from the original – now it’s a quite a compelling ballad. ‘Flame To The Moth’ comes across as if covered by Breed 77, a Spanish flamenco guitar oriented version. ‘Spitfall’ is a lot more accessible to these ears from the original and is a lot more delicate and enjoyable especially with the Hammond in the background. Last song ‘Falling Home’ is just delightful. If (as a fan of TV show Nashville) this were on said TV show, Pain Of Salvation would have an undoubted hit on their hands, and if this is a possible new direction then it has me hooked even more, as it is 3 minutes of pure bliss and also my fave song on the album. There was a time in the 90s when everyone who was anyone or no one did an acoustic album or tour and it pretty much (for me anyway) became a form to avoid in the end. However, when something is done as majestically and thoughtfully as this, it becomes a whole new format and wonderfully enjoyable listening experience. 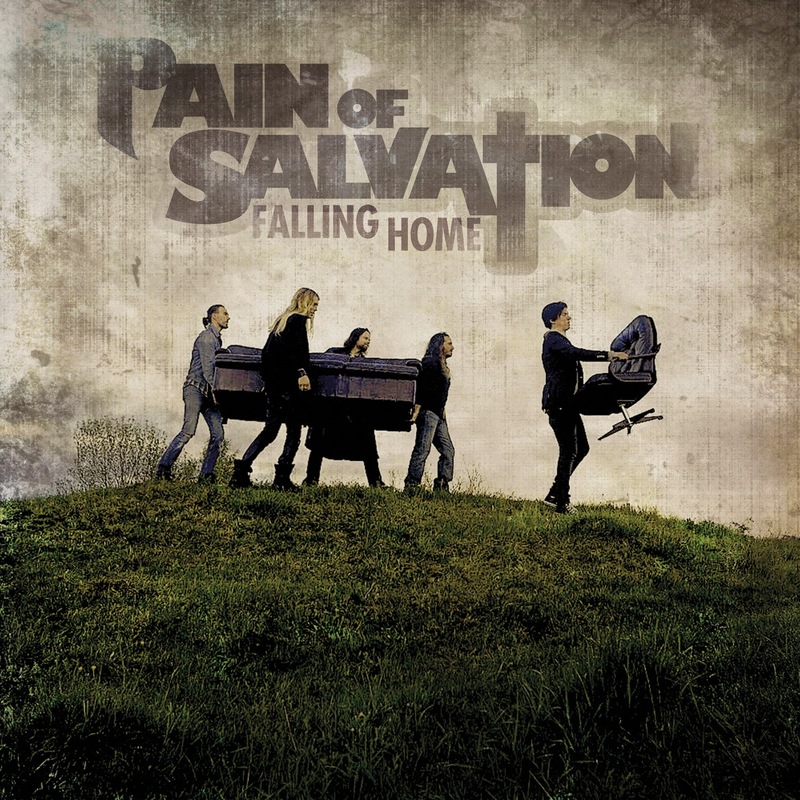 Whether or not Pain Of Salvation garner any new listeners remains to be seen. ‘Falling Home’ certainly makes some of their music a lot more accessible and that’s a great thing indeed. I expect it will still be for Pain Of Salvation die hards. If you are a die hard fan, there is a digipak version, which includes the songs ‘She Likes To Hide’ and ‘Kingdom of Loss’.